Prof. Aubreya Adams, Geology Department, will speak. 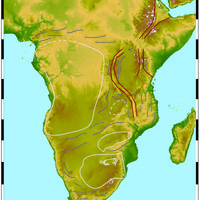 The African continent is home to some of the most unique tectonic features on Earth - including billion(s)-year-old terrains, enigmatic modern volcanic systems, the African Superplume reaching out from Earth’s core, and the great East African Rift System, which is slowly ripping the continent apart. Using seismic waves from worldwide earthquakes, I create tomographic images of these deep-Earth features that cannot be seen by the eye. Focusing on sub-Saharan Africa, I will lead you through the processes occurring in the depths of the continent, to see how these features are formed and how they relate to one another.